We live in an era where anything is possible, where a small idea turns into mega projects. There is no doubt that the construction industry has amazed us time to time and still getting bigger as well as better. These constructions take you a mile away from earth. They can be considered as a feat of design and wonder of engineering. The article will show you how science and engineering has changed our world. But they were never easy to build, with great difficulties and challenges a lot of money has been spent on each project. We present 10 Most Expensive Construction Projects Ever. The Oakland Bay Bridge is a pair of two level bridges that connects San Francisco and Oakland. It is the longest span in the world. The bridge has a self-anchored suspension span; precast segmental concrete viaduct and the overall structure are made of steel and concrete. The construction was begun in July 1933 and now it carries approximately 240,500 vehicles per day on its two decks. 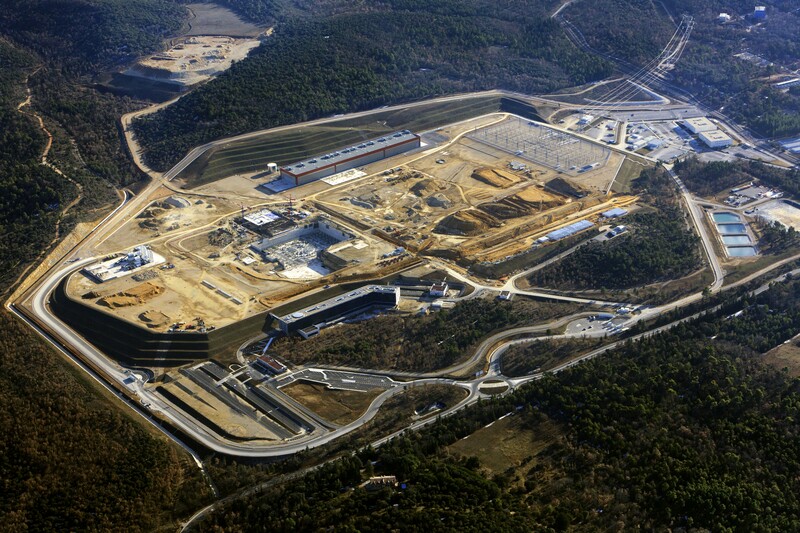 ITER is world’s largest international fusion research headquartered in St. Paul Lez Durance, France that aims to make the transition from experimental studies of plasma physics to full scale electricity producing fusion power plants. The project is funded by India, Russia, South Korea, China, Japan, United States and European Union. The fusion reactors can produce 500 MW of output power. The project is expected to produce more energy from the fusion than used to initiate it. Trans-Alaska is world’s largest crude oil pipeline system with 700 miles of feeder pipeline and 12 pump stations. It was built in 1977 and had to interface wide range of difficulties such as isolated terrain, extreme cold conditions etc. Many incidents of oil leakage have occurred since production caused by gunshot holes, maintenance failure and sabotage. Trans-Alaska pipeline has shipped around 19 billion barrels of oil. Central Artery project (also known as big dig) was the most expensive highway project in U.S. It’s a 5.6 km tunnel, also included the construction of Ted Williams Tunnel. The construction of the bridge was plagued by charges of poor execution, leaks, design flaws, cost overruns, criminal arrests and 1 death. In spite of that, the project was successfully completed on December, 2007 and the cost of construction was around $18 billion. USS Gerald R. Ford is named after the 38th president of the U.S.A. The ship is 337m long, 78m in height, consist of 25 decks, installed nuclear power and maximum speed of 31 knots. Gerald R. Ford is the 1st of a class of aircraft carriers that offer significant performance up-gradation over the previous Nimitz class aircraft carrier. The James Bay project is the series of hydroelectric power stations on the La Grande River in northwestern Quebec, Canada. It covers an area about the size of New York City and also the biggest hydroelectric station in the world with generating capacity of 27000 megawatts. Initial phase of construction cost around 14 billion (in 1970-80). The entire system is located over 177000 kilometer square area (larger than Florida). The Three Gorges Dam is the world’s largest hydroelectric dam (in terms of capacity) located in Hubei province, China. Each turbine has the capacity of producing power of 700 MW which makes the overall capacity of the dam 22500 MW. It aims to increase the shipping capacity of Yangtze River and to reduce the potential of downstream flood by with the help of large storage space. Itaipu Dam is the most expensive hydroelectric dam located between Paraguay and Brazil. The dam covers 1,350 km square of the area and 7,919 m in length. The dam is 196 meters high, equivalent to a 70 story building. The output capacity is 14000 MW which makes it second largest power producing dam after Three Gorges. It consists of 20 generating units, 10 for Paraguay (50 Hz) and 10 for Brazil (60 Hz). Istanbul Airport is planned to be the largest airport in the world. Construction zone will be around 7659 hectares (state owned forest land). This will be the 3rd international airport to be built in Istanbul. At the end of construction the airport will have enormous capacity of 150 million passengers, 88 aircraft bridges at the terminal, 6 independent runways 16 parallel taxiways, 3 technical blocks, parking capacity of 70,000 cars, hotel and power plant. ISS is an artificial satellite in low earth orbit. This is a joint project of 5 space agencies i.e. NASA, CSA, ESA, JAXA and Roskosmos. It is divided into 2 sections – (ROS) Russian Orbital Segment and (USOS) United States Orbital Segment, both are shared by many nations. The international Space Station maintains an orbit at a 330km – 435km height (from the surface of the earth). It weights around 450,000 kg, 72.8 m in length, 108.5 m wide and 20 m deep which may operate until 2028.